Now here’s a story of an innovative and resourceful couple who decided to leave the city rat-race for a happier life, and if this doesn’t inspire you, then I’m not sure what else would. 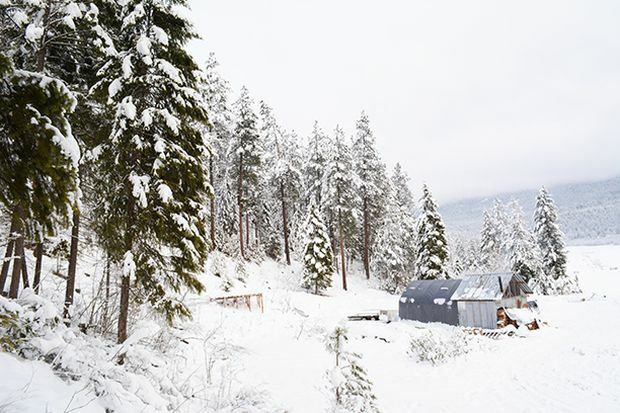 Eventually wanting to build a home on their newly purchased rural 5-acres, first Jesse and Alyssa had to find a way just to make it through the winter. And for that, you’ll be amazed at what they did and how they went about it…. Oh and don’t miss the video on page 3! In September of 2015, we quit our lives in the city and moved to our newly purchased five acres of property in rural Idaho. 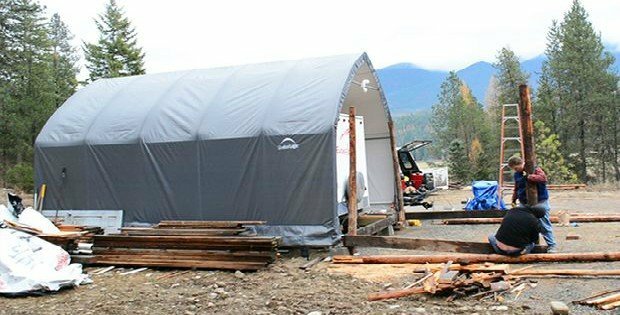 Our long-term plans are to build a beautiful off grid home in the woods using lumber from our own property, but in the meantime we are living in a 19’ travel trailer. 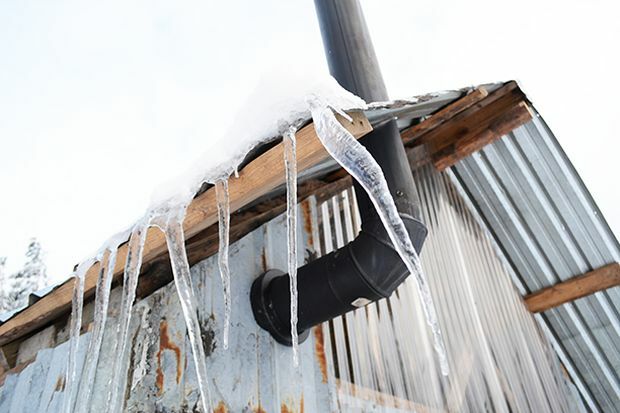 Winter snuck up on us quick, and we were forced to do something to keep our RV from freezing. While we had a portable RV garage, it wasn’t insulated. 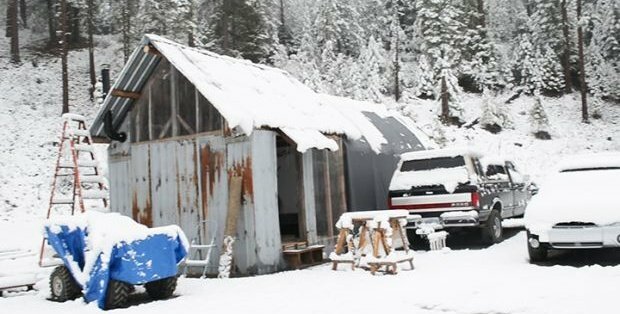 Our solution was to build a 3-sided cabin onto the end of the RV garage so that we could heat the entire enclosure with a wood stove. The cabin was built 95% with reclaimed materials that we salvaged just days prior in a demolition. 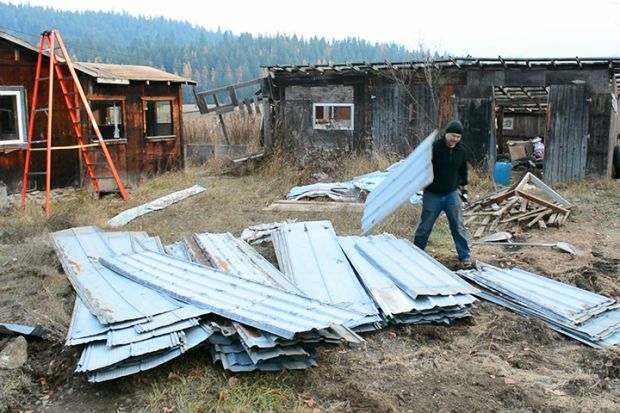 We helped to demolish a house in exchange for all the materials we could salvage. This structure would have cost us $3,000 if we were to buy the materials new, but we were only out $300 for screws and a few other materials such as the plastic windows. The entire cabin is insulated including the walls, floor and ceiling. We also attached fiberglass insulation to the perimeter and top of the carport, so the entire enclosure holds heat well for what it is. To move the heat from the wood stove to the back of the carport where the RV water tank and water pump reside, we use a couple of air movers that are powered by our generator. We don’t have the generator running all night long, but we do get the interior nice and “toasty” before bed. 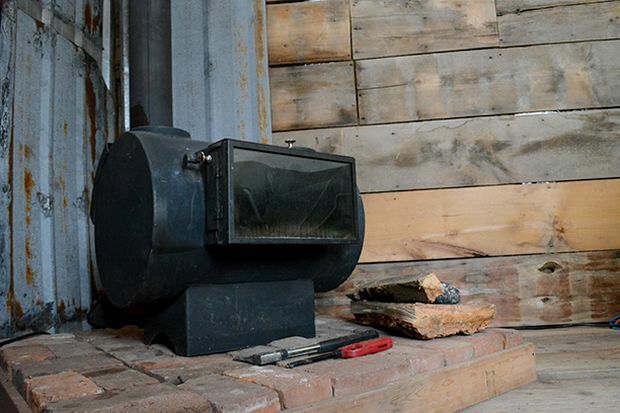 On cold nights we keep the wood stove running all night long. On zero degree nights, we’re able to keep our enclosure at 40-50 degrees Fahrenheit. Our cabin isn’t perfect but it is helping us accomplish the goal of simply getting through the winter so that we can begin building our barn and home come spring. 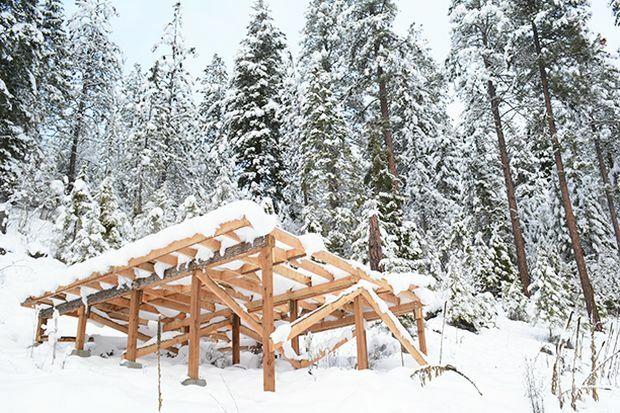 More importantly, building this cabin has taught us a lot of valuable skills and has increased our confidence in building primitive structures. We may have fewer luxuries available to us than when we lived in a 1800 sq ft home in the city, but we are happier and more fulfilled than ever. ….. CONTINUED TO PAGE 2 FOR MORE PHOTOS AND VIDEO ….. Ever Thought of Living on A Boathouse?